Upgrade your desk essentials with this A6 size blue notebook - beige cat print. A6 size notebooks – perfect for your handbags and to take along with you in your pocket. Travel with these earth friendly notebooks and write down those inspirational thoughts. 100 pages of beige fine cut paper. The patterns on the notebook are screen printed with water-based inks. Book A6 size, paperback, blue, beige cat print, 15 X 10 cm (H X L), 100 pages, white papers. 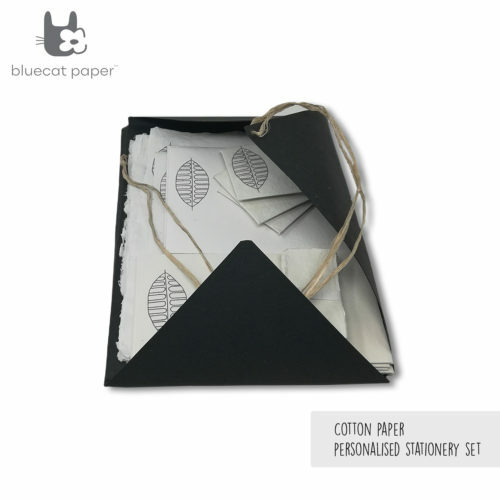 These papers are fine cut and is made from cotton rags. perfect for your handbags and to take along with you in your pocket. 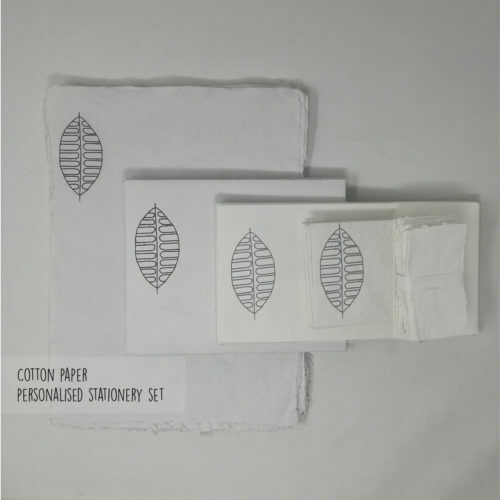 Handmade Papers, white linen wax thread.